Directions: In the community of Mt. 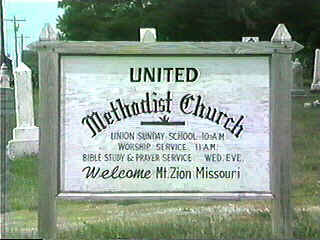 Zion at the junction of Hwys Z and JJ, on the north side of the road. For information about this page please contact Laura by E-Mail at the address given on the Home Page. 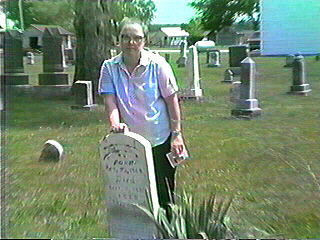 This is Laura at the grave of her Granduncle, A. Charles Higdon. He had a brother, William, whom we have not been able to locate. 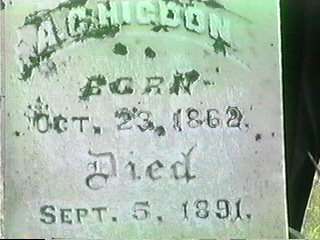 A. C. Higdon was born Oct. 23, 1862 at Leesville, MO. And died Sept. 5, 1891. 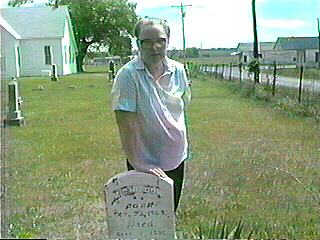 He was a son of Asa Higdon and Emeline Minerva Randel. 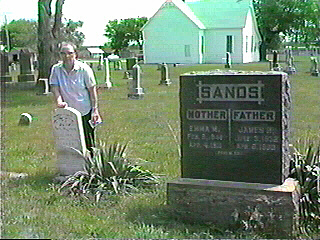 A. Charles Higdon, lies close by the side of his mother and step-father, James Sands. 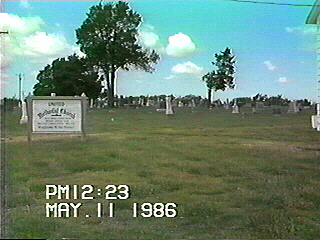 An overview of a portion of the cemetery and the Church sign. 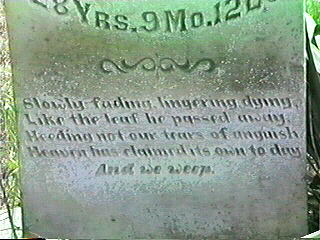 Closeup of stone showing name and dates. 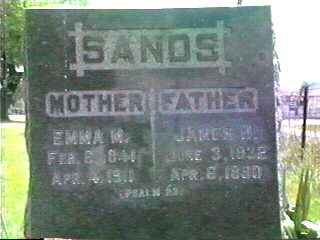 Emma was Emeline Minerva Randel, daughter of David Randel of Leesville, MO.